One player has been hospitalized, two robots have been destroyed and now Moderato has turned his back on his own creation. But the Mayor needs the game to bypass Pluto's locks, and Riddle has her own reasons to unearth the PX-1 file. As the stakes become higher, memories begin to resurface and the possibility of all out war looms on the horizon. 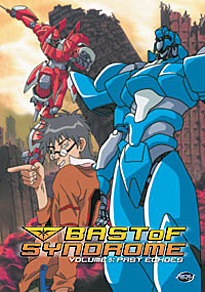 DVD Features: clean opening and closing animation and previews. Spoken Languages: English, Korean, English Subtitles.